No drilling, No doweling, No dirt! The perfect way to fix your smoking detector without risk to damage any power cable. 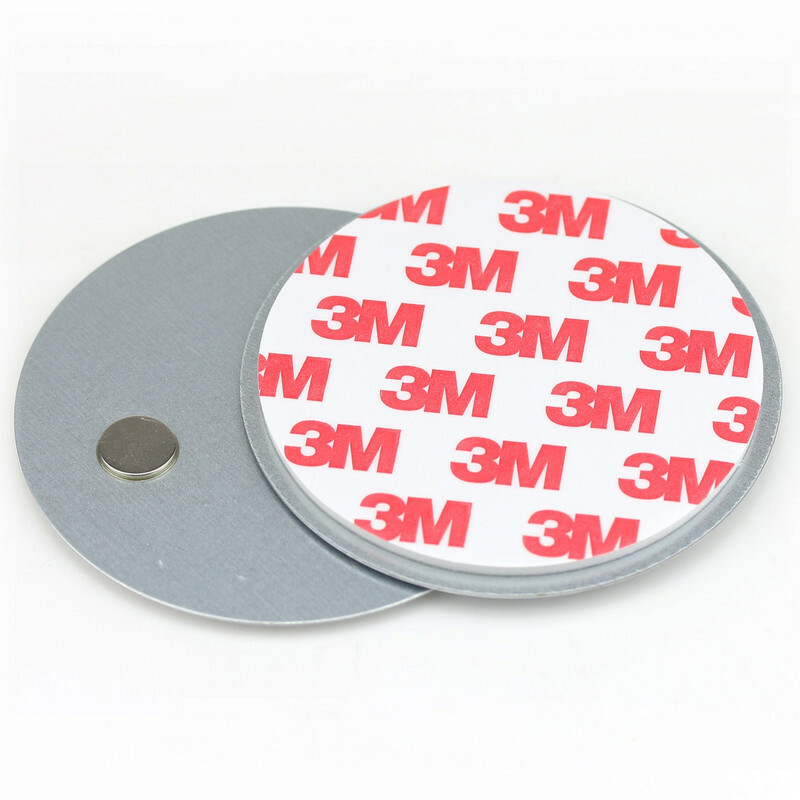 This kind of magnetic holder for smoking detector will be delivered in a set of two peaces self-adhesive metal plates with each size 70 mm. On one of the metal plate there are two neodymium magnets, with help of these magnets the smoking detector holds on the other metal plate. Cover element - Disc Ø 70 × 0,5 mm made from Zn coated steel. One side self-adhesive with ab. 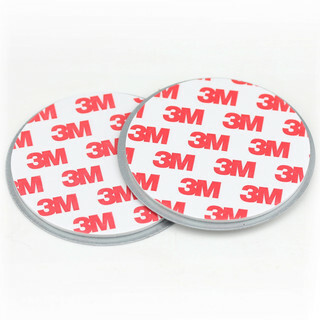 1,7 mm thick 3M Acrylate foam adhesive, for mounting at the top of your room. 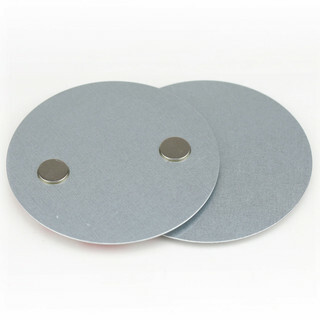 Socket element - Disc Ø 70 × 0,5 mm made from Zn coated steel, with two magnets on one side. Another side self-adhesive with ab. 1,7 mm thick 3M Acrylate foam adhesive, for mounting at your smoking detector.